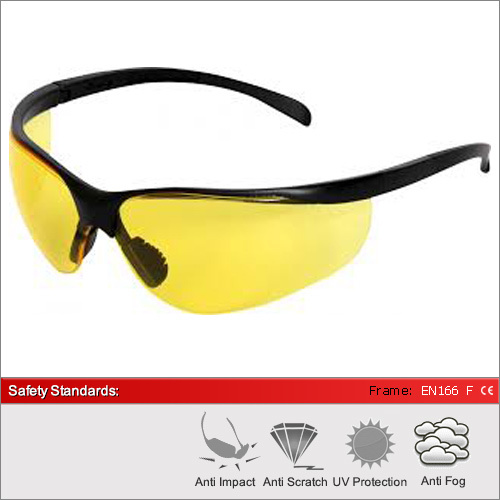 The Banda is a likeable pair of safety glasses and available in three lens types. It utilises a wraparound style to look good too. They boast Optical Quality 1 lenses with a scratch resistant surface and anti-fog lenses. With an extra soft nose bridge and adjustable arms for a more comfortable fit. The Banda gives full UV protection. Both UVA and UVB light. We have 3 lenses available in this frame. The clear lens for 100% optical quality 1 performance. The grey lens for direct sunlight and other bright light conditions. 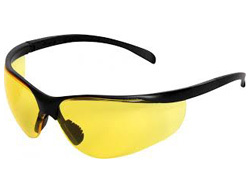 The yellow lens for increased contrast in low light conditions. For a full explanation of the different lens types and their ideal usage please see our dedicated Lens Advice Section.